I already posted my co-op review for Splinter Cell Conviction, but I sat down the other day and played through the single player game as well. Overall, I liked it and I would recommend it to stealth fans. It is a good game and consistently fun, but I still prefer the co-op campaign. If someone were to ask me to recommend the best stealth game I had ever played I would tell them to check out Batman Arkham Asylum but Splinter Cell Conviction is a close second. 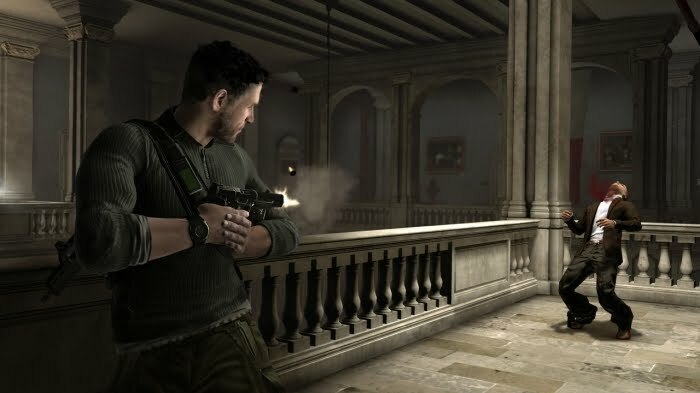 If they asked me to recommend the best stealth co-op game I would most definitely tell them to play Splinter Cell Conviction. But, today I'm talking about the single player campaign. The first thing I noticed - and loved - was the persistent experience across game modes. All of my experience, weapons, gadgets, and completed challenges from the co-op campaign carried over into my single player campaign automatically. It was seamless and awesome. All games with co-op and single player campaigns should do this. I was especially glad the P.E.C Challenges carried over because I had a fun time trying to complete them for experience points. There is more of an emphasis on storytelling in the single player campaign. It follows Sam Fisher and his attempt to find out who killed his daughter. 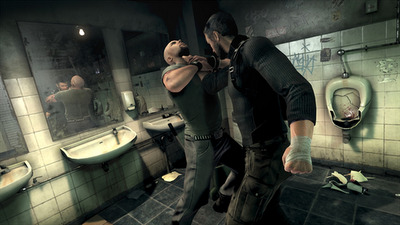 I haven't played previous Splinter Cell games, but I enjoyed some of the storytelling techniques even though I didn't care that much about the actual story. The two storytelling techniques that grabbed my attention were the projections and the interrogations. I was never forced into a menu to discover my objectives or gain information. Instead, it is projected onto the environment. Things like "Infiltrate the Mansion" were projected on the mansion I needed to infiltrate. I haven't seen it done before, but it blended seamlessly into the gameplay and kept me immersed in the world. The interrogations are exactly what they sound like. Sam has to interrogate people to make them talk. When in an interrogation Sam is confined to a small area. The interesting part is finding objects within that area to interact with. My favorite interrogation scene involved television equiptment. I won't ruin it for you, but some of the interactions made me simultaneously cringe and think, "Wow, that was awesome." The mark and execute system is still the gameplay feature which shines the brightest. By doing melee kills Sam gains the ability to mark up to four targets - depending on his weapon - and then with the tap of a button execute them all. It basically turns the game into a murder puzzle, which is as fun as it sounds. A few minor gripes. The controls were difficult to pick up. I play a lot of first and third person shooters, but the controls for Splinter Cell Conviction are not set up in a similar way. I was really fighting with the controls for the first few hours I played the game. The other thing I didn't like were the flashbacks. They were entirely pointless for the most part. This is especially true for the flashback that turns into an entire level in Iraq. I hated that level with a passion. It turned the game into a shooter when every other level is about stealth. It was stupid. I wish they had made that level a 3 minute cutscene instead. I would have been much happier. 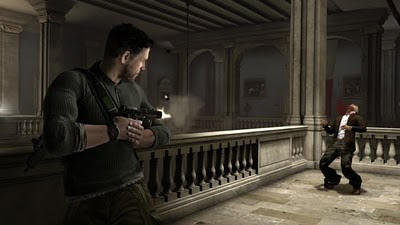 Overall, Splinter Cell Conviction gets my stamp of approval. If you like stealth games then you owe it to yourself to at least rent the game and give it a shot. If you have a friend who likes stealth games make sure to play it together for an awesome experience. I realize it's a year since you posted this but I just wanted to say great reviews of both the single-player and co-op campaigns. I really enjoyed your focus on the storytelling aspects of the game, which is what drew me in.